From Liberty Hardware, this simple pull is great for casual style cabinetry or furniture. Crafted from steel for long lasting quality and durability. Installation hardware is included. The clean-cut form of the Liberty 3 inch White Spoon Foot Pull is perfect for casual cabinetry. It features a 3 inch center-to-center, rear-mount design for easy installation. The metal base material is built to last and is covered in a bright white finish. Reflective of Native North American culture and its art, specifically the Pacific Northwest, the Totem design adds soul and spirit to kitchens, baths, and other living spaces. Multiple finishes available. Installs easily with included hardware and is a noticeable change for any cabinetry. Inspired by artisan craftsmanship, the Iron Craft collection gives your room the look of rustic elegance. Rugged design elements combine with a beautiful aged finish for a look that is authentic and unique. Ideal for both kitchens and bathrooms. 4 in. 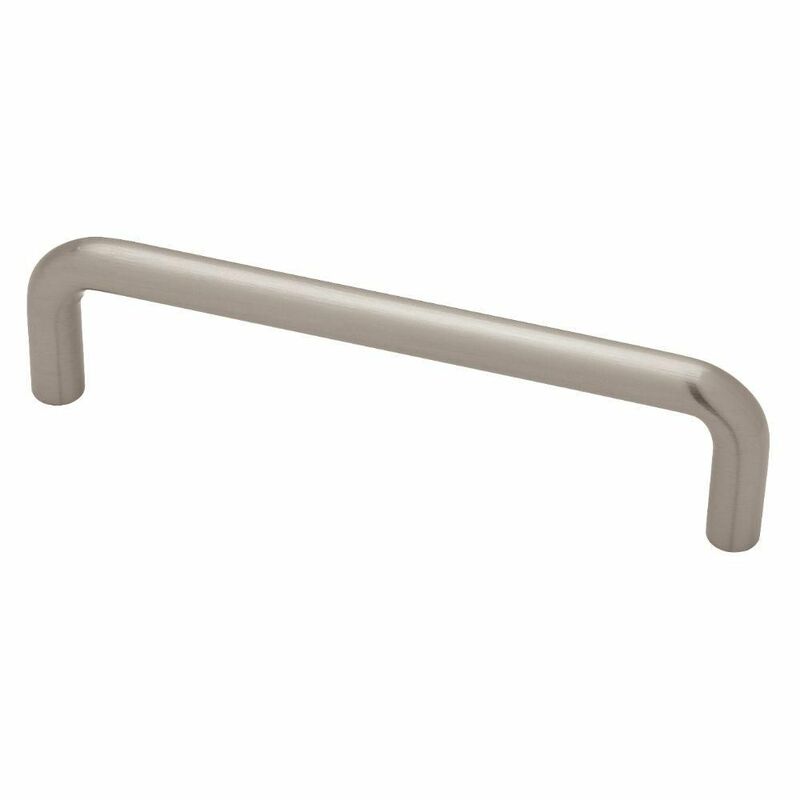 (102mm) Satin Nickel Wire Cabinet Pull From Liberty Hardware, this simple pull is great for casual style cabinetry or furniture. Crafted from steel for long lasting quality and durability. Installation hardware is included. 4 in. (102mm) Satin Nickel Wire Cabinet Pull is rated 4.2 out of 5 by 5. Rated 5 out of 5 by olred116 from Beautiful Handles! Product was exactly what we needed, and looks Great! Fast Shipping as well! Rated 4 out of 5 by JImB from Just what I wanted. Easy to buy and secure. Price is right. Product is as expected. Rated 4 out of 5 by MIMI from Very happy with product I was looking for years for new pulls to update my 70's cabinets to no avail as the hole centers are 4" - so I was thrilled to find them and they look very spiffy and updated. so fare are performing well - quality is good.